Boerewors produced with the finest ingredients resulting in the perfect balance of meat & seasonings, giving you a meaty, succulent, flavoursome sausage. Your delicious Boerewors are stored and sent frozen and with the use of special gel packs are guaranteed to stay fresh for 30 hours. 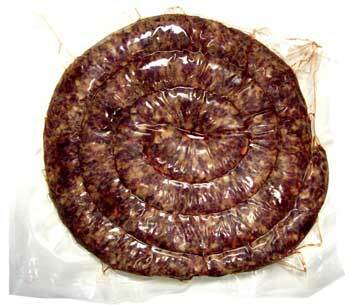 For this reason we do not send any Boerewors on a Friday and are unable to send to international or 2 day destinations. To ensure the products are received in the best condition possible, please make sure someone is able to sign and collect parcel on the first delivery attempt. Meat (Beef 60%, Lamb 30%, Chicken Fat 10%), Seasoning (Salt, Cereal (Wheat, Maize), Spices (Irradiated), Preservative (Sodium Sulphites), MSG (Flavour Enhancer), Spice Extracts, Flavour Enhancer).